This is Tip 22 of a series of 29. Watch Chris Schmidt’s blog for upcoming helpful tips on how to maximize your return on investment when you do sell your Houston and Houston’s Inner Loop Area home. This is Tip 21 of a series of 29. Watch Chris Schmidt’s blog for upcoming helpful tips on how to maximize your return on investment when you do sell your Houston and Houston’s Inner Loop Area home. Chris Schmidt proudly serves the real estate needs of residents of Norhill, Montrose, Midtown, Memorial, Rice Military and Spring Branch. This is Tip 20 of a series of 29. Watch Chris Schmidt’s blog for upcoming helpful tips on how to maximize your return on investment when you do sell your Houston and Houston’s Inner Loop Area home. Tip No. 19 Know your buyer. In the negotiation process, your objective is to control the pace and set the duration. And the better you know your buyer, the more easily you can maintain control. As a rule, buyers want the best property they can afford for the least amount of money. But knowing specifically what motivates your buyer enables you to negotiate more effectively. Maybe your buyer needs to move quickly. 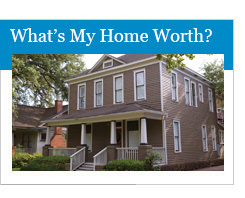 Or the maximum amount he can spend is just a little below your asking price. Knowing this information puts you in a better bargaining position. This is Tip 19 of a series of 29. Watch Chris Schmidt’s blog for upcoming helpful tips on how to maximize your return on investment when you do sell your Houston and Houston’s Inner Loop Area home. Tip No. 18 Don’t get emotional during negotiations. The extent of most people’s experience in the art of negotiation begins and ends at their local auto dealership. And few of us have pleasant memories of haggling with car salesmen. But if you can just let go of the emotion you’ve invested in your home and approach negotiations in a detached, businesslike manner, you’ll find the process to be a lot less painful. In fact, you might even enjoy it—and you’ll definitely have an advantage over prospective buyers who get caught up in the emotion of the situation. This is Tip 18 of a series of 29. Watch Chris Schmidt’s blog for upcoming helpful tips on how to maximize your return on investment when you do sell your Houston and Houston’s Inner Loop Area home. Tip No. 17 The more prospects, the better. 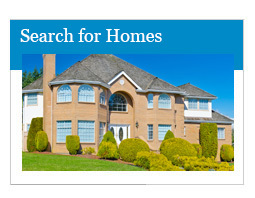 By maximizing your home’s marketability, you’ll increase your chances of attracting more than one prospective buyer. Why is this better? Because several buyers compete with each other; a single buyer ends up competing with you. This is Tip 17 of a series of 29. Watch Chris Schmidt’s blog for upcoming helpful tips on how to maximize your return on investment when you do sell your Houston and Houston’s Inner Loop Area home. Tip No. 16 Disclose everything. Smart sellers proactively go above and beyond the laws to disclose all known defects to their buyers—in writing. If the buyer knows about a problem, he can’t come back with a lawsuit later on. This is Tip 16 of a series of 29. Watch Chris Schmidt’s blog for upcoming helpful tips on how to maximize your return on investment when you do sell your Houston and Houston’s Inner Loop Area home. Tip No. 15 Don’t let a smell be your downfall. Odd smells kill deals quickly. All traces of food, pet and smoking odors must be eliminated. 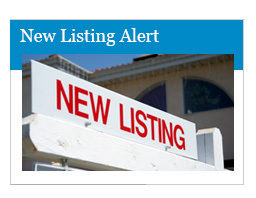 Even when you’re sure they’re gone, don’t encourage prospective buyers to imagine things. If they know that you’re a smoker or that you have a dog, they’ll start smelling odors and seeing stains that may not even exist. Be safe—don’t leave any clues. This is Tip 15 of a series of 29. Watch Chris Schmidt’s blog for upcoming helpful tips on how to maximize your return on investment when you do sell your Houston and Houston’s Inner Loop Area home. Tip No. 14 The little touches can make a difference. While personal items can detract, other small touches can help make your house a home to buyers. A well-placed vase of flowers, accent pieces of sculpture, potpourri in the bathroom—all can enhance the attractiveness of your home in a subtle, soft-spoken way. Try perusing any of the home magazines for tips. This is Tip 14 of a series of 29. Watch Chris Schmidt’s blog for upcoming helpful tips on how to maximize your return on investment when you do sell your Houston and Houston’s Inner Loop Area home. Tip No. 13 Remove all traces of you from your home. The last thing you want others to feel in visiting your home is that same sense of discomfort. Avoid this by making your home as neutral as possible. Anything that interferes with a prospective buyers’ ability to see themselves living in your home must be eliminated. A few carefully chosen knickknacks and family portraits may add warmth and character to the home, too many are a distraction. Avoid unique or trendy color schemes—paint and carpet in neutral shades of white or beige. This is Tip 13 of a series of 29. 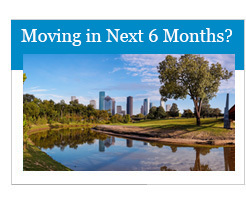 Watch Chris Schmidt’s blog for upcoming helpful tips on how to maximize your return on investment when you do sell your Houston and Houston’s Inner Loop Area home.